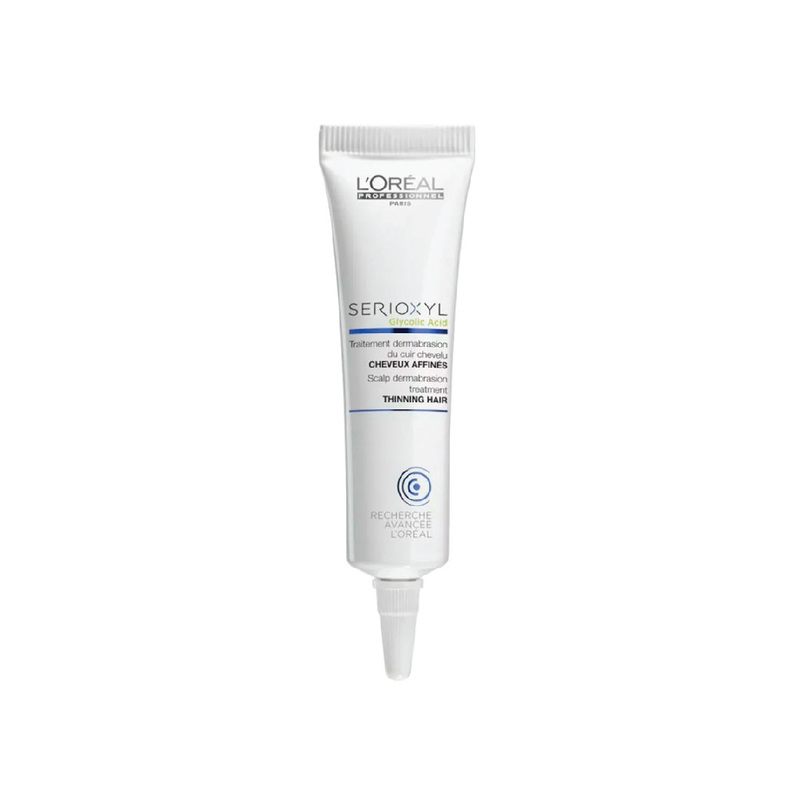 LOREAL SERIOXYL SCALP PEEL 15ML – HAIRDEPOT - Hair & Scalp Care Products, Prevent Hair Loss, Shampoo, Conditioner, Treatment, Styling, Appliances and more! What is the Serioxyl Scalp Cleansing Treatment? The Serioxyl Scalp Cleansing Treatment is a cleansing solution that refreshes the scalp by using the same technology as face peelings. This product stimulates micro-stimulation which boosts hairgrowth. People who suffer from hair loss or thinning hair. It is also perfect for people who have thin hair and would love to have fuller hair. - Glycolic acid: purifies your scalp and removes impurities from the scalp. - Serioxyl shampoo, conditioner and mousse for natural or coloured hair: these products provide the perfect base to use with the serum. The products make your hair look fuller and thicker. - Denser Hair Serum: 3-month treatment which stimulates hair growth.